Thousands of low-wage workers and the disabled can enjoy subsidised travel on public buses and trains, under two Government-funded concession schemes that kick in today. The Ministry of Transport said last week that it has issued concession passes to about 133,000 workers who earn up to $1,900 a month, and to some 7,000 people with disabilities. As of last Friday, the ministry has received about 147,000 applications under the two concession schemes. 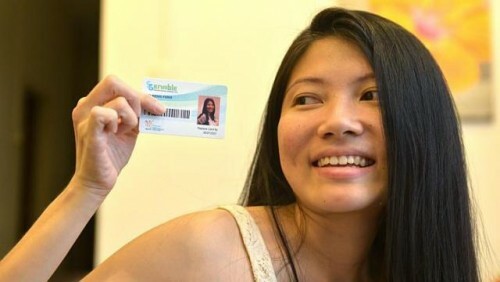 Singaporeans on the Workfare Income Supplement scheme are eligible for the Workfare Transport Concession Card, which gives a 15 per cent discount on adult fares. Those under the concession scheme for people with disabilities receive a 25 per cent fare discount, capped at 7.2km of travel. They can also buy a monthly pass for $60, the same as the concession pass for senior citizens. The two new schemes, which will cost the Government about $50 million annually, are part of a string of concessions recommended in a report last year by a fare review committee. In January, the Public Transport Council announced a 3.2 per cent fare increase, which took effect on April 6, and raised train and bus fares by two to six cents. At the time, it also said the two new schemes will take effect on July 6. A ministry spokesman said more than 250,000 application packages were sent to commuters who qualified for the two concessions, which means that not everyone who is eligible has applied. Applications are typically processed within two months, after they are submitted. The Land Transport Authority has been sending out the personalised concession cards since last month, said the Transport Ministry spokesman. She added that those eligible for the schemes can still apply for them. "Individuals who become eligible for either of the schemes will also be informed to apply," she said. Every day, hearing-impaired office executive Jorena Tan, 35, takes a feeder bus and the train from her home near Serangoon to Promenade station in the city for work. She estimates that her travelling expenses could be halved with the new concession scheme. Ms Tan is glad that those with disabilities can now enjoy concessions for travel. "Transport is free for people with disabilities in London," she said. "So I have been hoping that there would at least be subsidies for people with disabilities here." Another new concession scheme, which started on April 6, is a $120 monthly pass that allows unlimited travel for all adults. A spokesman said the Transport Ministry has received about 10,000 applications for the Adult Monthly Travel Cards, which are personalised to each applicant, and most have been issued. In addition, as of June 29, more than 170,000 transport vouchers have been given to needy households that applied for them, she said.